Full service mocktail bar during a luxury shoe designer's 2017 collection launch. Full service mocktail bar during a luxury shoe designer’s 2017 collection launch. Event was off-premises at the gallery loft in Manhattan during fashion week. Influential bloggers, journalists and buyers were among the distinguished the guests. 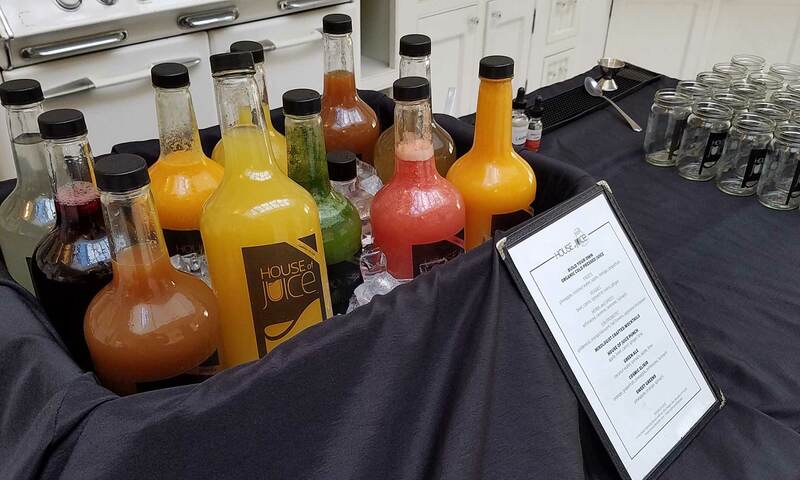 House of Juice provided the mixologists, rustic glassware and menu selection of cold pressed juices. 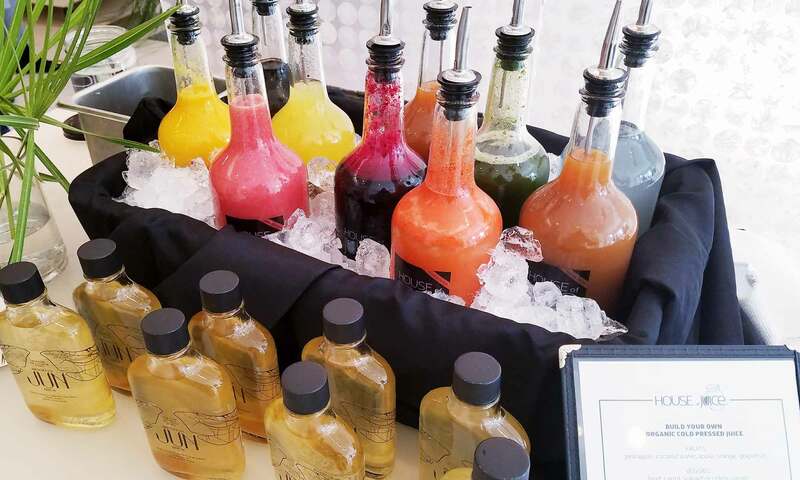 Juice recipes were made on site for guests as they ordered at the bar.